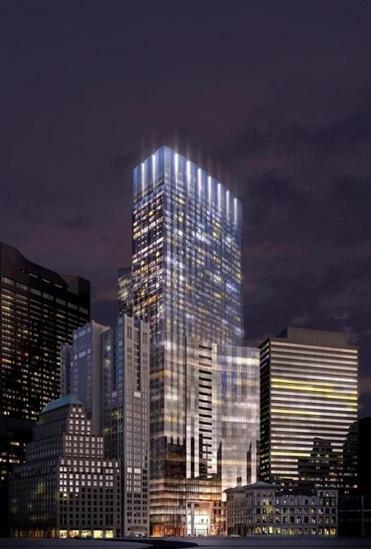 A rendering of the Winthrop Square tower. The city of Boston has a $102 million check to cash. Millennium Partners said Thursday that it has closed on its deal to buy the site of the Winthrop Square Garage and will start work “immediately” on a 691-foot, $1.3 billion tower. That closing included an initial payment of $102 million to the city — the final payment is estimated to total about $163 million, depending on the volume of condo sales in the tower — much of which the Walsh administration already has allocated to improve parks and public housing around the city. Now Millennium will get to work on the tower, which will include 1.6 million square feet of office space and condominiums, and be the tallest building in the downtown area. The developer has demolished the shuttered garage on the site, which sits between Devonshire and Federal streets, pulled a foundation permit and recently began excavation work. The building is scheduled to be finished in 2022. The prospect of this day, and the proceeds from selling the garage, generated strong support from the Walsh administration as the complex project navigated a field of regulatory hurdles — from laws governing shadows on Boston Common to concerns the tower would encroach on takeoff paths from Logan Airport to debates over the fine points of its design. In a statement, Mayor Martin J. Walsh said he looks forward to the finished product.